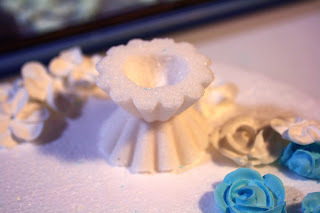 To put these together, add some royal icing to the center of the cavity in the topper. 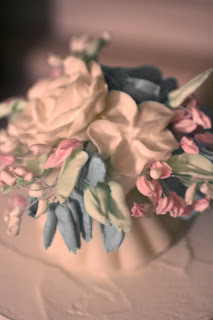 You can also use a small styrofoam ball in the topper if all of your flowers are wired, but in this case some aren't. 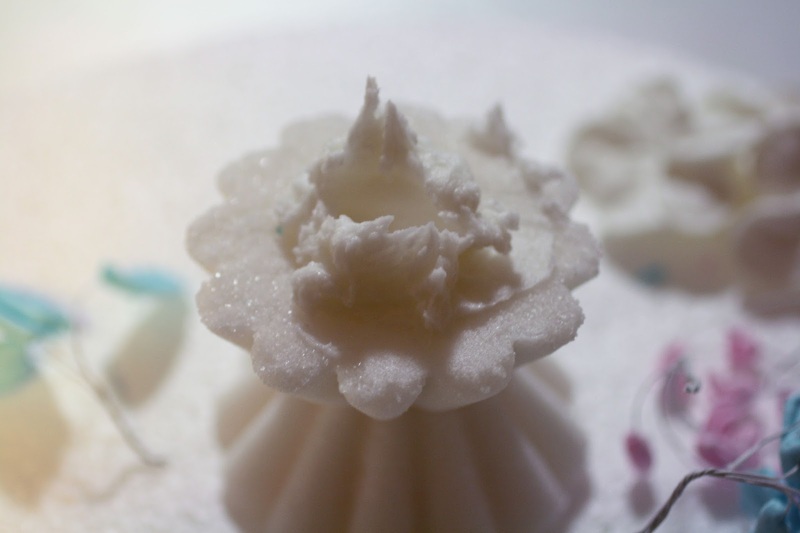 I used a mound of icing to attach the larger flowers, then added the smaller ones in. You could also put a ball on the top of the topper, then pipe rosettes or attach other flowers to it to make a rounded topper. 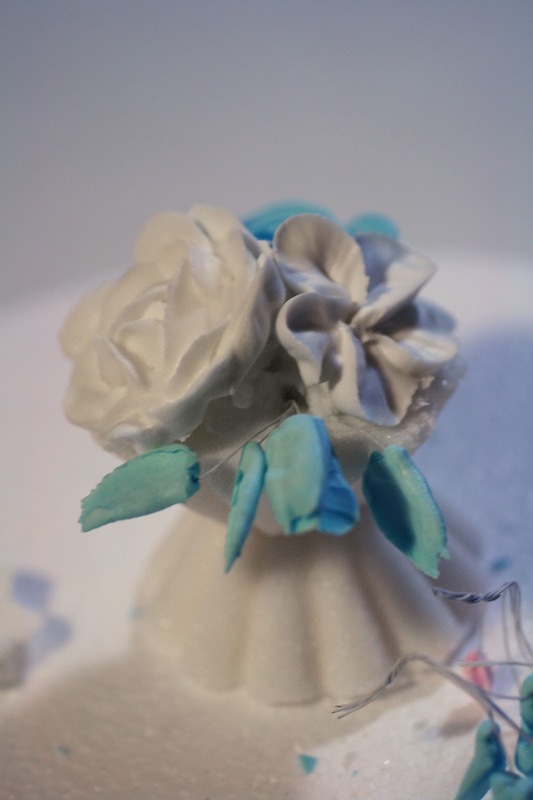 Fill in the spaces between the larger flowers with the wired royal icing filler.